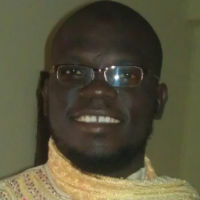 Hi, I’m Elegbede Muhammed Oladipupo. You can also call me HemHem. That’s a name I have answered since University days. I hope you enjoy this little time you are giving to browse my page. I am almost sure you didn’t get here by accident, you must have visited to get somethings straight or probably to get to know me. It might turn out boring at the moment, never mind, it is work in progress! Reading about me in the real sense may not be too interesting but my articles should.